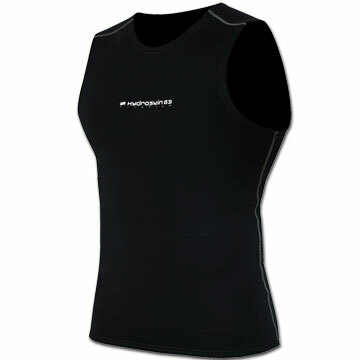 Visit NRS's Men's	HydroSkin Vest page. The NRS HydroSkin vest is great under a paddling jacket or worn alone on those sunny days when the water is cool. 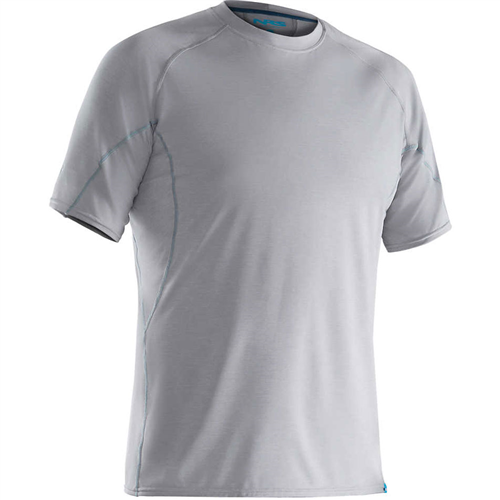 An ideal layer that keeps your core warm without the bulk. The 0.5-mm Terraprene(TM) core of the material provides insulation. The 4-way stretch PowerSpan(TM) outer fabric layer moves with your body for unrestricted mobility and comfort. ThermalPlush(TM) inner lining repels moisture and dries quickly. 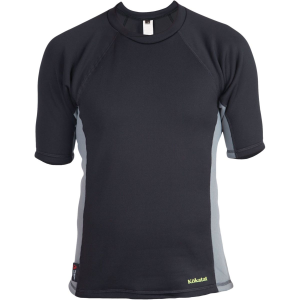 The titanium laminate adhesive reflects back your body's heat, increasing warmth without adding bulk. DWR coating forces water to "bead" and roll off the material, reducing evaporative cooling. NRS Menâ? 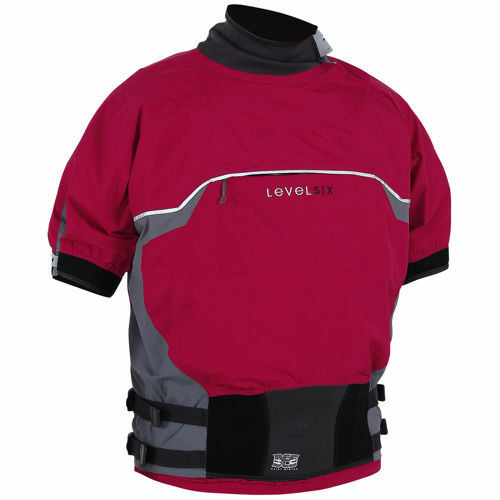 ?s HydroSkin Kayak Vest - The perfect addition to your gear bag, NRS HydroSkin kayak vest is warm by itself on cool days, and makes an ideal mid-weight addition between a thermal inner layer and a windproof outer shell. Terraprene is warmer, lighter, stretchier, more buoyant, and more comfortable than traditional oil-based neoprenes. 4-way stretch PowerSpan increases multi-directional stretch over the entire torso for greater comfort and support. 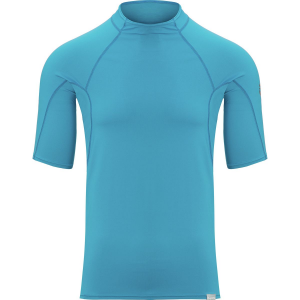 A titanium laminate adhesive aids in body heat retention, adding to this top's superior function either as a single outer layer or as a base layer. The ThermalPlush inner lining increases insulation, repels moisture and dries quickly, while the DWR coating forces water to "bead" and roll off the material. Wear it alone in the warmer months when the water is still chilly, and wear it as part of a layering system as the air temperature drops. 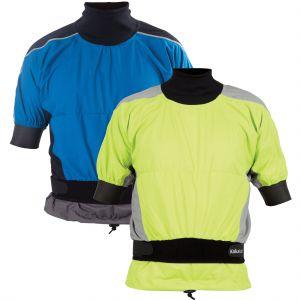 The NRS HydroSkin kayak vest is the most versatile piece of kayak clothing you can own! The NRS HydroSkin Vest is not available from the stores we monitor. It was last seen March 12, 2015	at NRS.